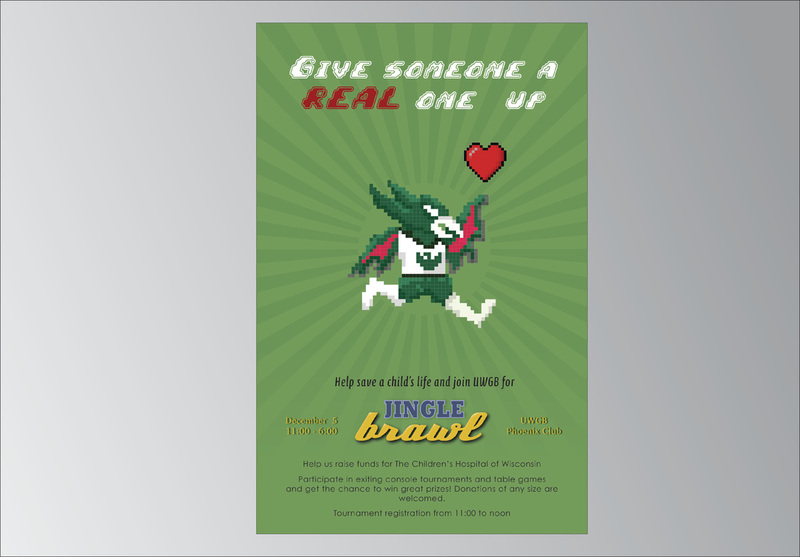 Jingle Brawl is an event held at the UW- Green Bay campus and raised funds for the Children's Hospital of Wisconsin. In this volunteer project, I created an all new logotype design that was used on various promotional material for the event. 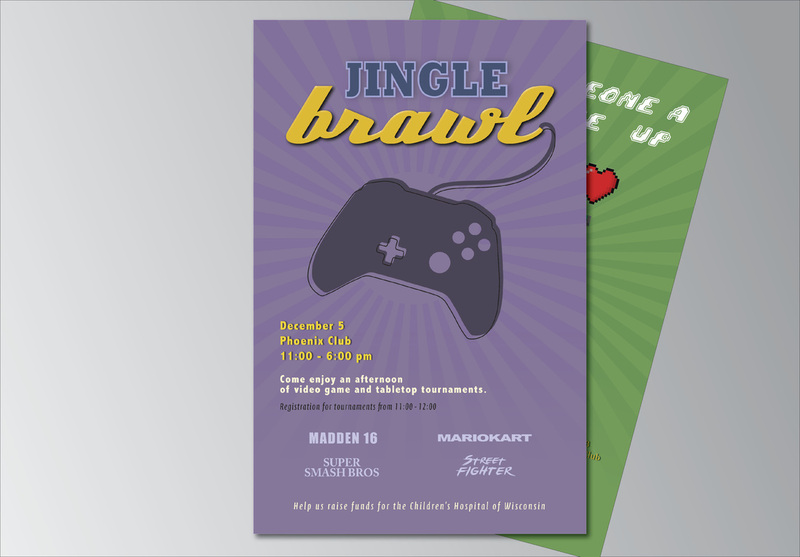 I also created two different posters advertising the event. 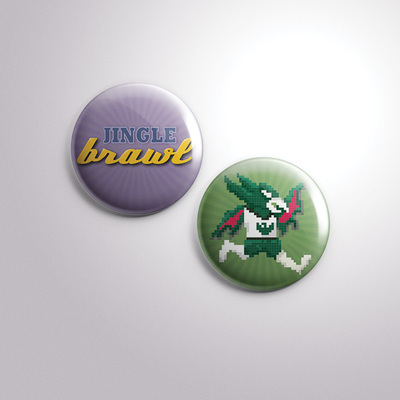 Each one reflects a different era of gaming with an 80's style design as well as a modern console style. The 8-bit rendering of the school mascot served as the icon of the even that raised nearly $1000 for the Hospital.